She has previously played for English Women’s clubs , Arsenal and Liverpool. 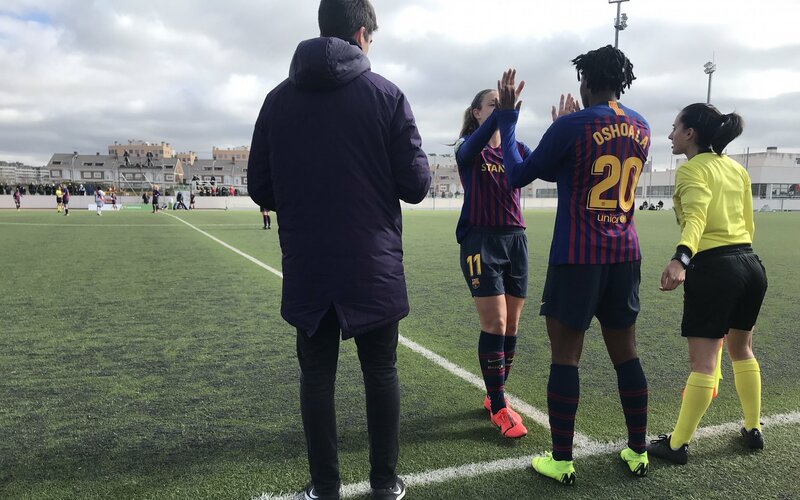 Barcelona Ladies: Paños, Van der Gragt, María León, Melanie, Losada (Andonova, min 54), Mariona, Alexia (Oshoala, min 62), Duggan, A. Pereira (Candela, min 59), Hamraoui and Martens (Andressa Alves, min 45). Goals: 0-1, Alexia Putellas (min 15); 0-2, Martens (min 17); 0-3, Mariona (min 29); 0-4, Asisat Oshoala (min 63). Yellow Cards: Hamraoui (min 67) and Carreño (min 83). Red Card: Andressa Alves (min 74).